Traditionally deck chairs are used in the summer. You can set the scene, blue skies, calm seas, sand between your toes all viewed from a relaxing deckchair. The birds above are swooping, yet there appears to be no rush as you lie back, relax and take in your surroundings. All sounds pretty good, however work, stony beaches and the typical British weather puts paid to this idyllic setting on many occasions. However, all is not lost! Due to the flexible folding style and easy storage a deck chair can be used for so much more than just lazy days at the seaside. During the warmer weather the humble deck chair can easily be used for many events such as outdoor cinemas, music festivals, or weddings. Even if you experience poor weather, with careful planning, the use of good clothing and accessories such as blankets and umbrellas your event can still go ahead. There are times that even the Met Office can’t predict extreme weather, which can’t be helped but can happen all year round. The great thing about a deckchair though is that you are not just restricted to the great outdoors. 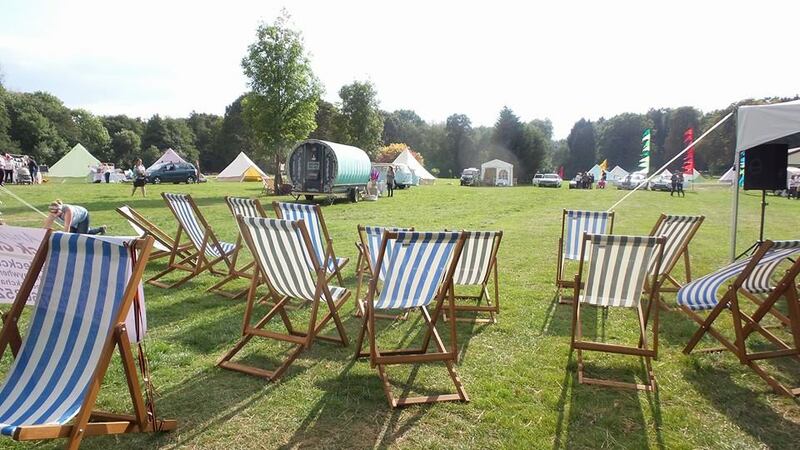 Deck chairs can be accommodated in offices, marquees or a barn amongst others, meaning that it really is a chair for all seasons. That nostalgic feeling you get from a traditional deckchair in any setting gives us here at Anywhere Deck Chairs, the deck chair hire people! is the warm glow that you experience on a sunny day. The good thing about this as we head towards autumn is that a deck chair can still be enjoyed indoors without having to experience any of that bank holiday weather!